It’s like stepping through the looking glass into another era. An era when things were gentler, women could be strong without losing their femininity, impeccable grooming mattered far more than following the latest trends, luxury depended on taste rather than money, glamour shone off flawless skin and heritage perfumes instead of a paid appearance on Page 3, and beautiful manners out-sparkled lavish table settings without even trying. 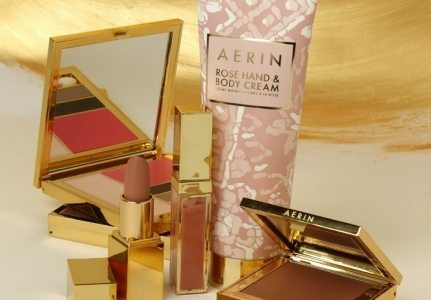 This is the world that Aerin Lauder, granddaughter of the legendary Estée Lauder, is trying to bring back with her eponymous beauty and lifestyle brand that debuts with the Aerin Essentials collection – which includes make-up bag basics like the Fresh Skin Compact Makeup ($48), a cream-to-powder foundation; Pretty Bronze Illuminating Powder ($45); Multi Color for Lips and Cheeks ($42); Essential Makeup Bag ($48); and the Brush Essentials set ($148). And then there are my favourite pieces: the Rose Lip Conditioner ($28) and Rose Hand and Body Cream ($40), which are textured like soft, fluffy clouds and scented with the most gorgeous rose scent I have come across till now. An added bonus – everything looks stunning and princessy, wrapped up in gold cases, creamy white tubes and a sense of pure sophistication. 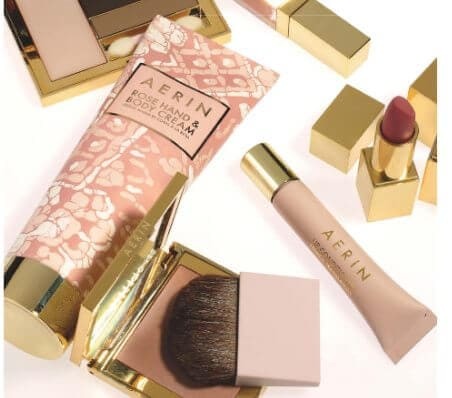 This done, Aerin is already working on a well-curated colour collection, comprising of eye shadows, blushes, highlighters, lipsticks and lip glosses that will launch in Fall. Next up is a Holiday range, with small lipsticks in party-ready colours that can easily slip into an evening bag; and a Summer palette of beach creams and bronzers. And this is no flash-in-the-pan or the case of a Park Avenue princess playing entrepreneur as and when the fancy suits her. A creative director at Estée Lauder for seven years, Aerin has done her homework. And she has done it well. “I like to joke that I’ve been in the beauty industry for 42 years and actually working for 20,” she told WWD, referencing not only her heritage but also the time that she spent at her grandmother’s side, learning from the best in the business. After beauty, Aerin will expand to launch a lifestyle range, comprising everything from jewellery to glasswear, fabrics and tableware. A perfectly logical evolution, I would say, for someone who is known as one of the best hostesses on Park Avenue. “My goal was to create a line that was all about modern, effortless beauty. It’s a lifestyle brand, which I think is very much how Estée started. It was always about lifestyle photography and an environment and a world,” explains Aerin, who has licensed her name to the Estée Lauder Cos. to produce the cosmetics collections. So, move over, Estée: There is room for more than one Lauder in the retail aisles!